As a player, Stuart Pearce was known as Psycho. As a manager he doesn't seem to have mellowed overmuch, although his recent grumpiness might have something to do with his being sacked as England Under-21s manager. Pearce has criticised some of the players he worked with, saying that once they made the breakthrough into the senior team, some young players were unwilling to go back to the under-21s, meaning he had to field a weaker squad in major tournaments. "There were eight players with senior caps that could have played for the Under-21s but didn't come," Pearce said about the squad he named for Euro 2013. He singled out Arsenal winger Alex Oxlade-Chamberlain and Manchester United defender Phil Jones for criticism. "The odd one was injury, apathy played a big part of it - the Oxlade-Chamberlains and the Phil Jones of this world," Pearce said. "Once they go through the golden ivory towers of the seniors, they don't want to play in the Under-21s." Golden ivory towers? Pearce was never overly concerned about being diplomatic (or coherent) but the FA was quick to refute his claims. 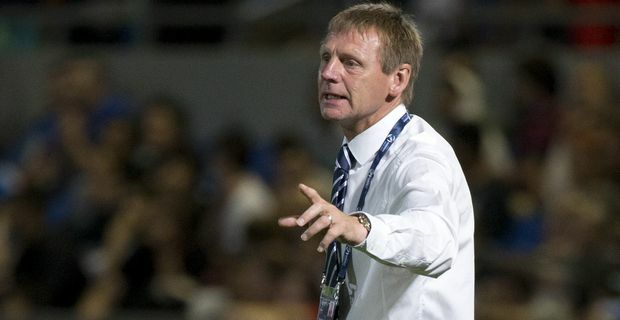 "Squads were selected for the tournaments and decided upon by the coaching staff, including Stuart Pearce," the FA statement said. "It is unfair to criticise individual players. All selections were management decisions and were not taken by individual players." Oxlade-Chamberlain's representatives also denied Pearce's allegations, maintaining the player was never asked to join the squad for the summer tournament. Pearce had a so-so record as manager of the Under-21s, with his side looking formidable in qualifying for major tournaments, then disappointing badly in the finals. Pearce's successor in the job is Gareth Southgate, an FA insider who is likely to be more reticent about voicing his discontent. Whether he will have any more success than Pearce must be open to considerable doubt.